This was a busy day to say the least. 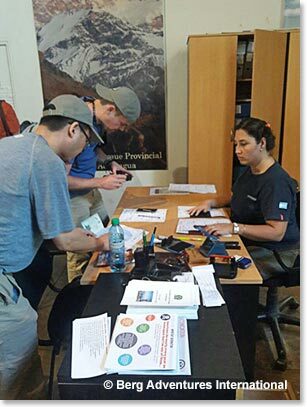 The team is together and we left the Hyatt mid morning to go to Aconcagua Park offices to have our permit to climb Aconcagua issued. 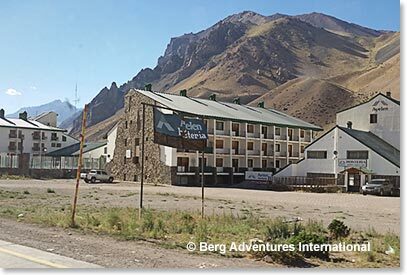 A 2-hour drive took us to the river resort town of Uspallata where we had lunch, and by late afternoon we were at Hotel Ayleen, elevation 8,800 feet, not far from Aconcagua and not far from the Chilean border. 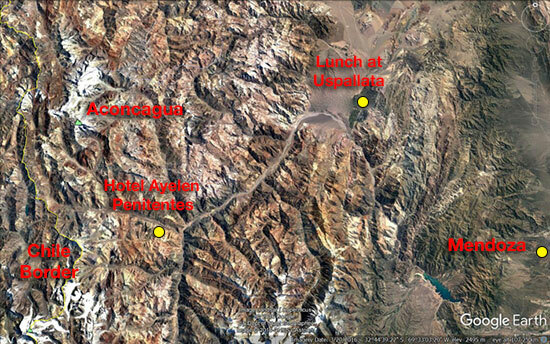 We will remain in Argentina on this trip, but it is fascinating to think about where we are located on the map. 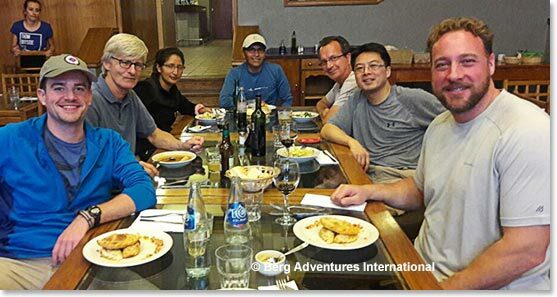 A great pre-climb tradition for Berg Adventures is the meals at Hotel Ayelen. The setting is simple, but the food is great. The most typical of all Argentine dishes, Empanadas, are a great appetizer. Tonight is our first night sleeping at a bit higher elevation – the beginning of our acclimatization process. Tomorrow we will explore a bit. 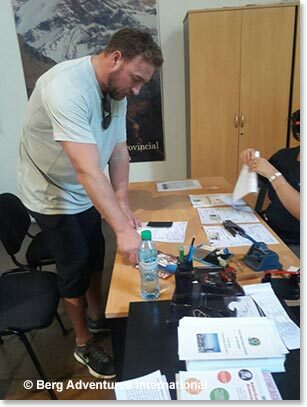 Chad Brennand having his climbing permit issued. Winston Chan and Colin Huffines, signing forms, getting approval. 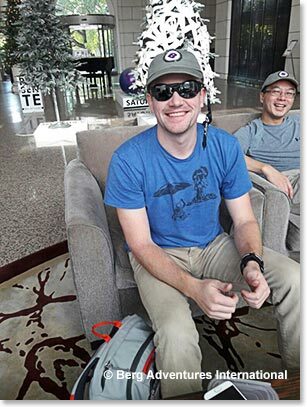 Colin Huffines and Winston Chan, paperwork is done, we are on our way! Winston at Park Hyatt ready to go. 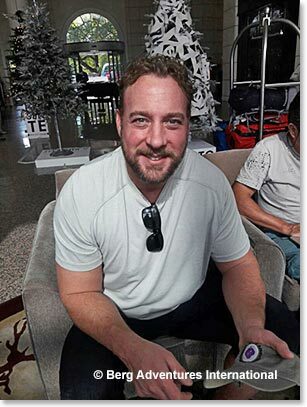 Chad Brennand, permit is issued! Hotel Ayelen, along the highway to Chile.